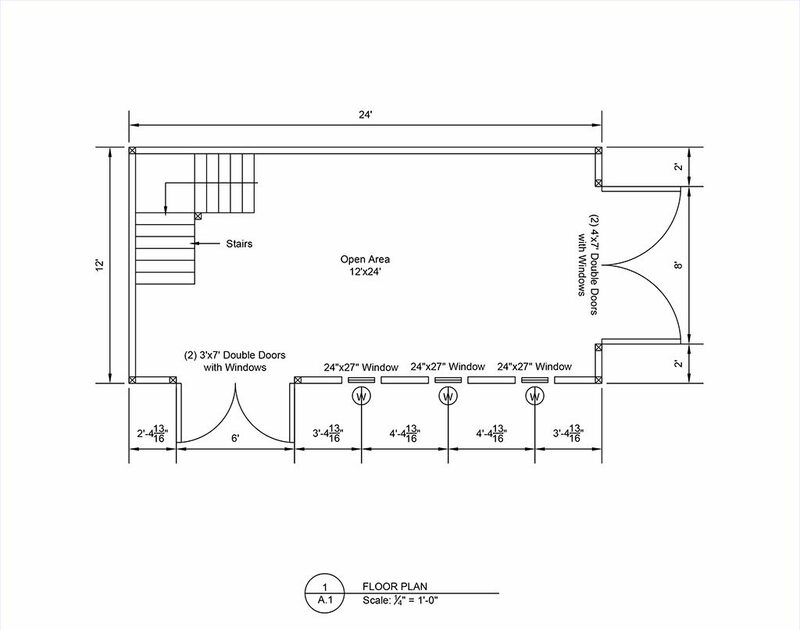 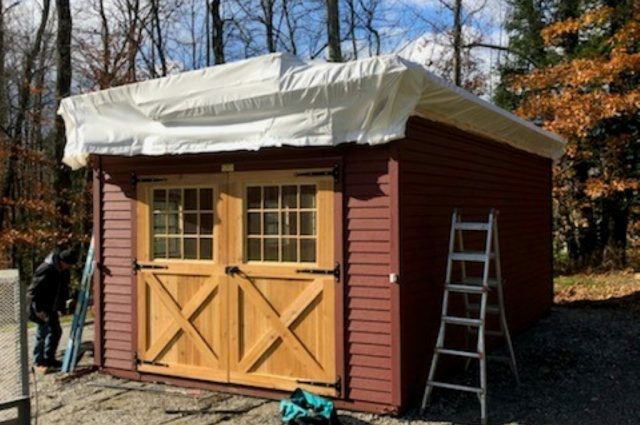 This is a 12’x24′ white river series shed. 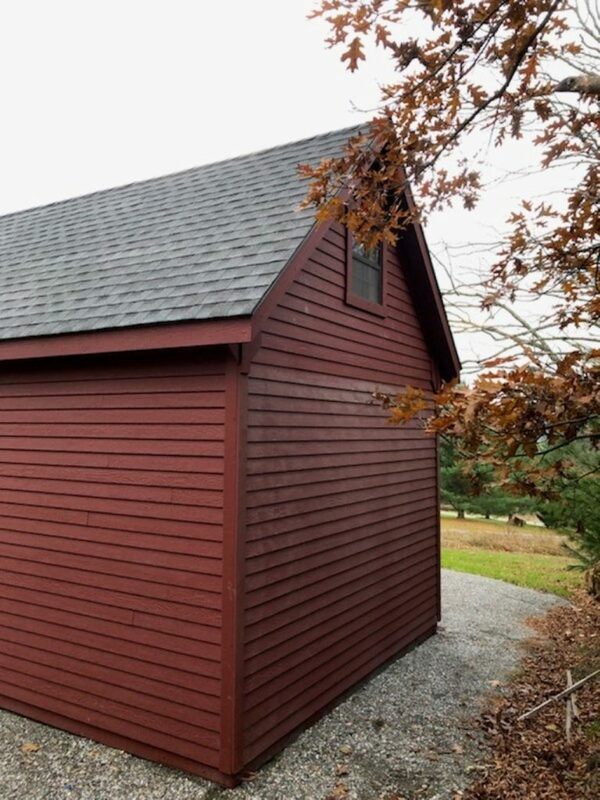 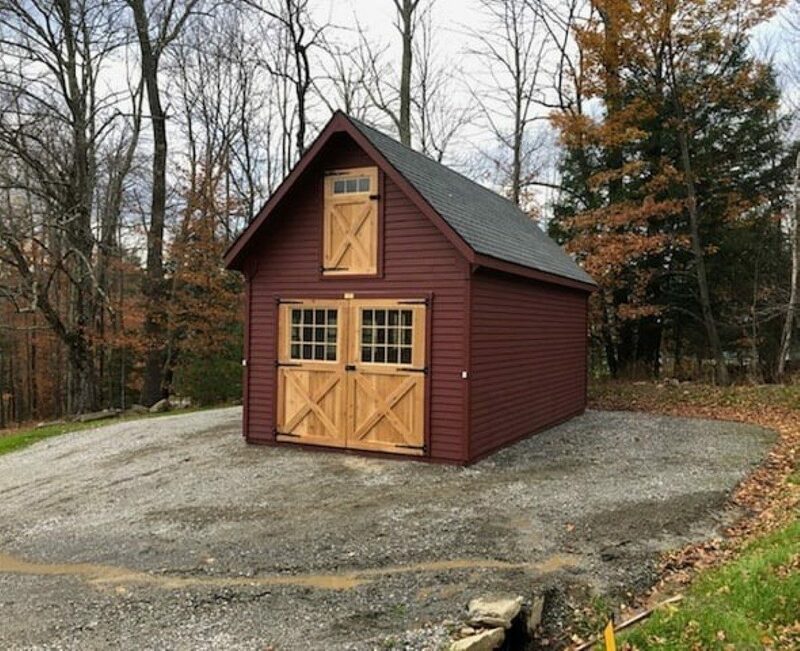 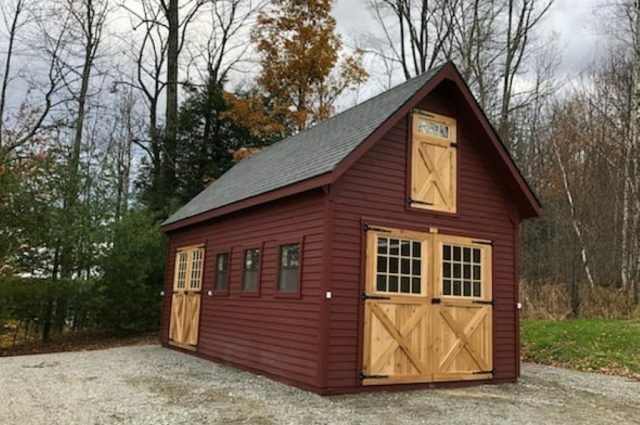 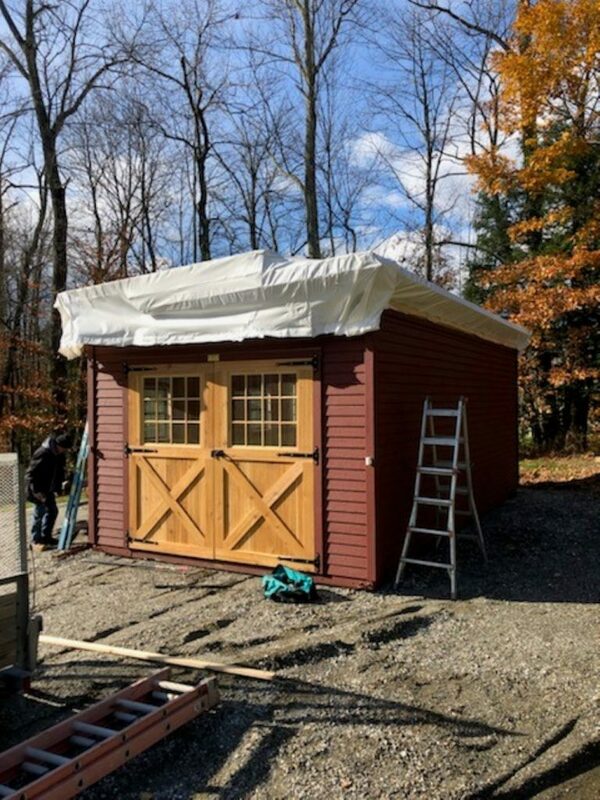 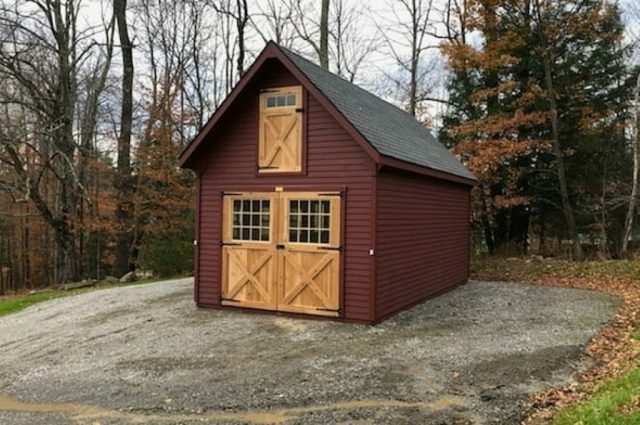 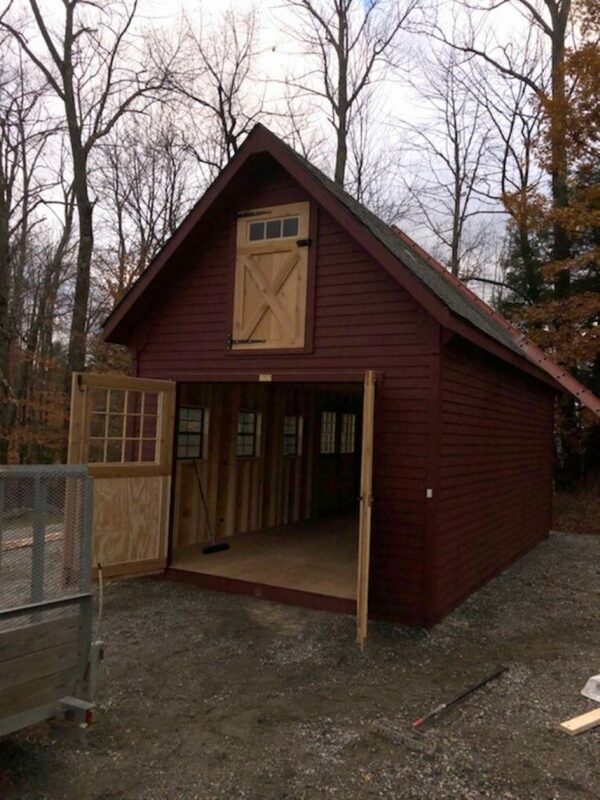 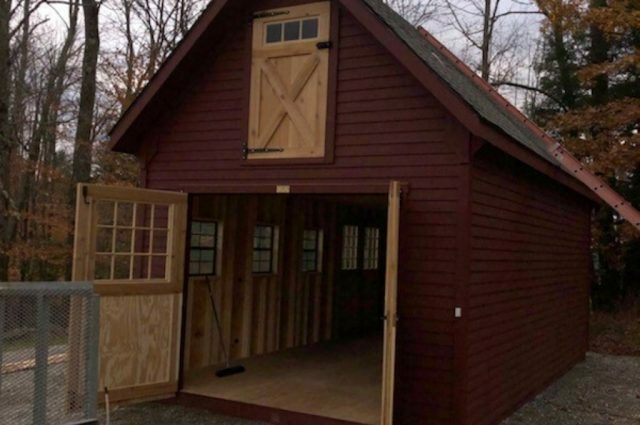 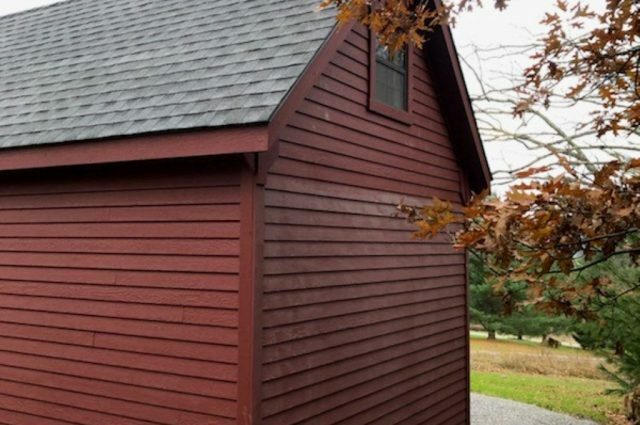 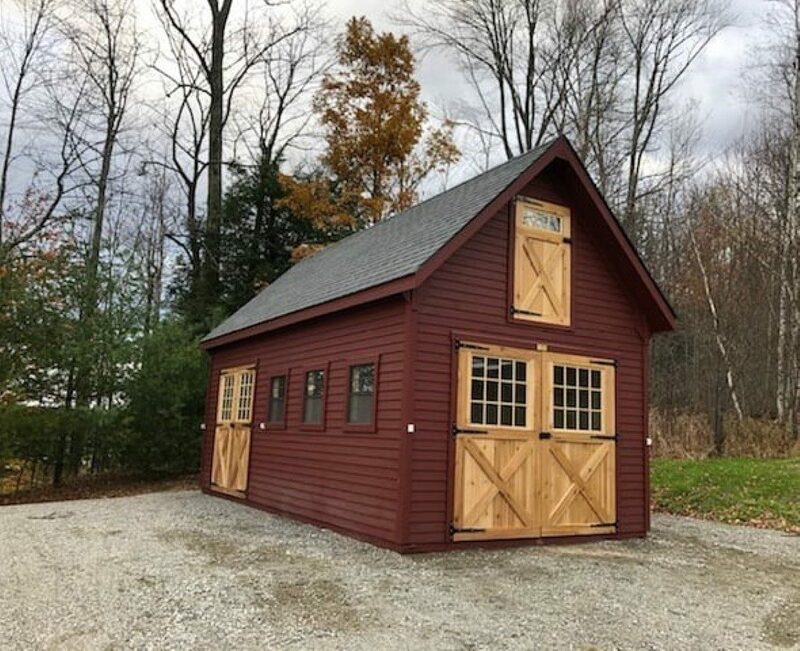 This Jeffersonville, VT shed was built with LP SmartSide clapboard siding painted with red paint provided by Haley Paint Company. 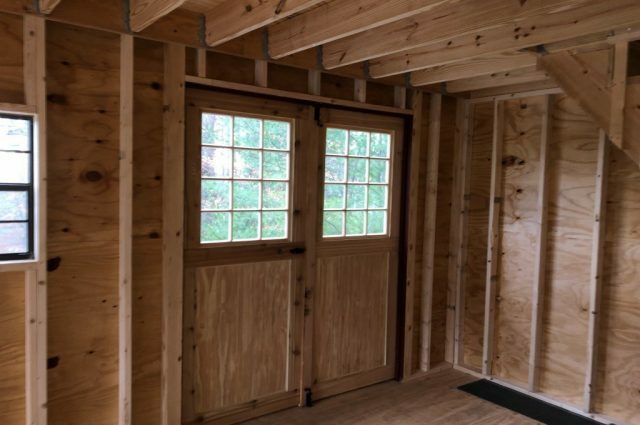 The doors are made from red cedar wood and stained with a clear stain. 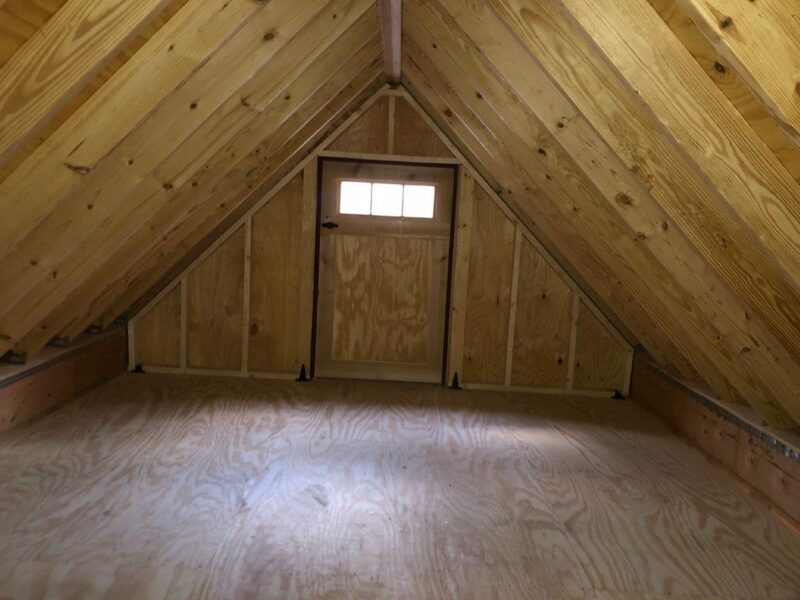 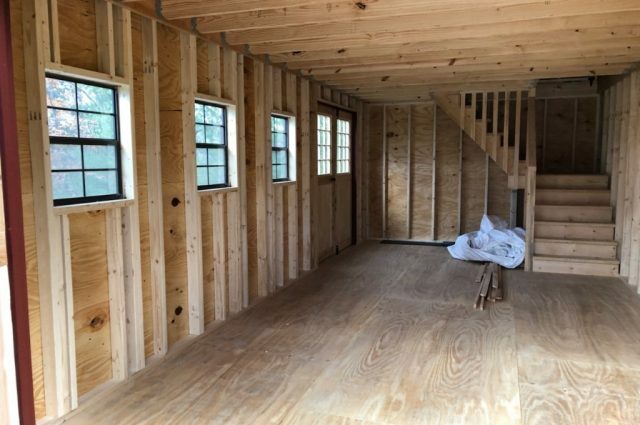 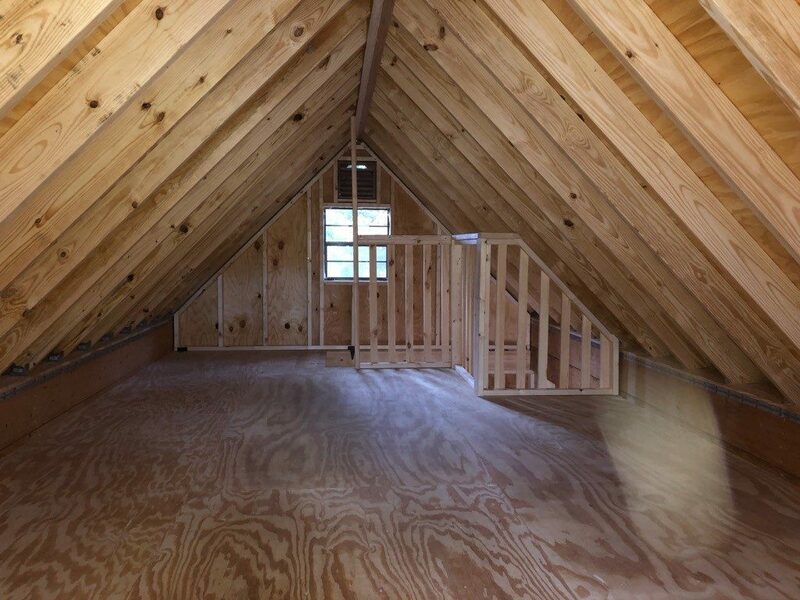 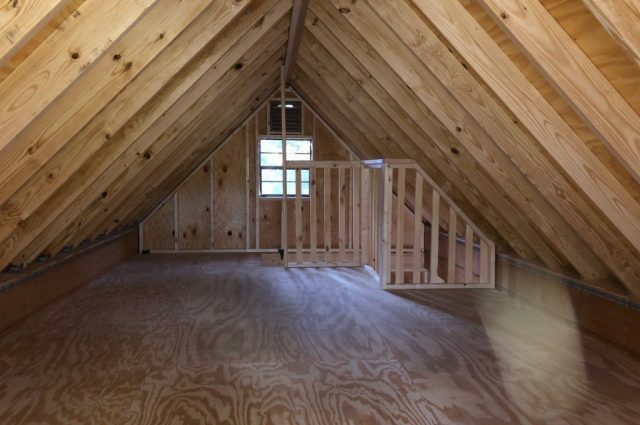 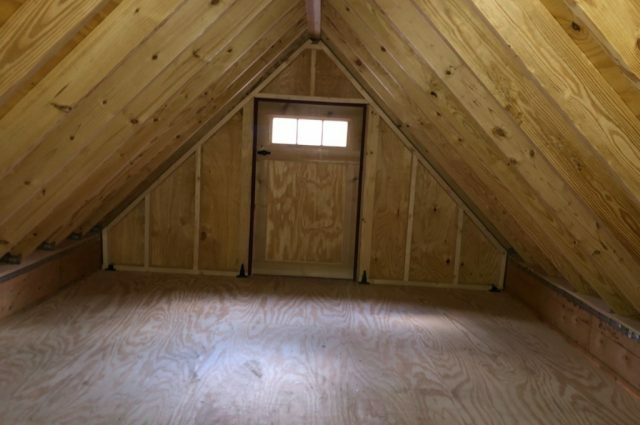 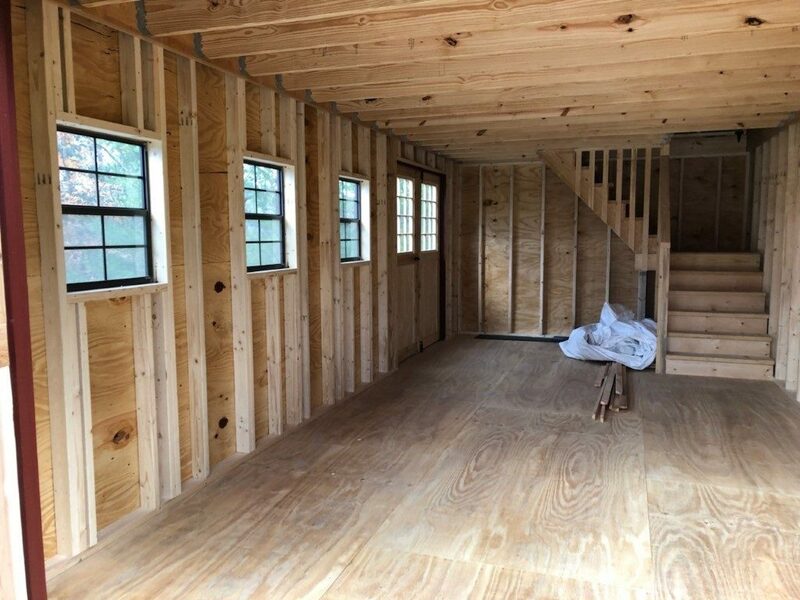 It has 12 pitch rafters and architectural shingle roof with GAF Timberline HD (Pewter Grey Color) shingles. 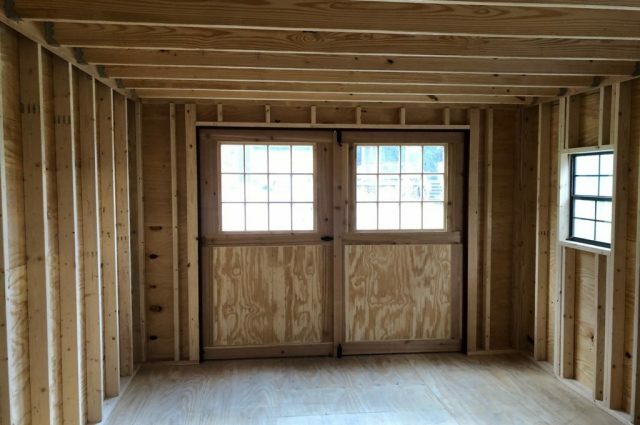 The windows are aluminum single-hung windows with screens provided by Bird-In-Hand Windows. 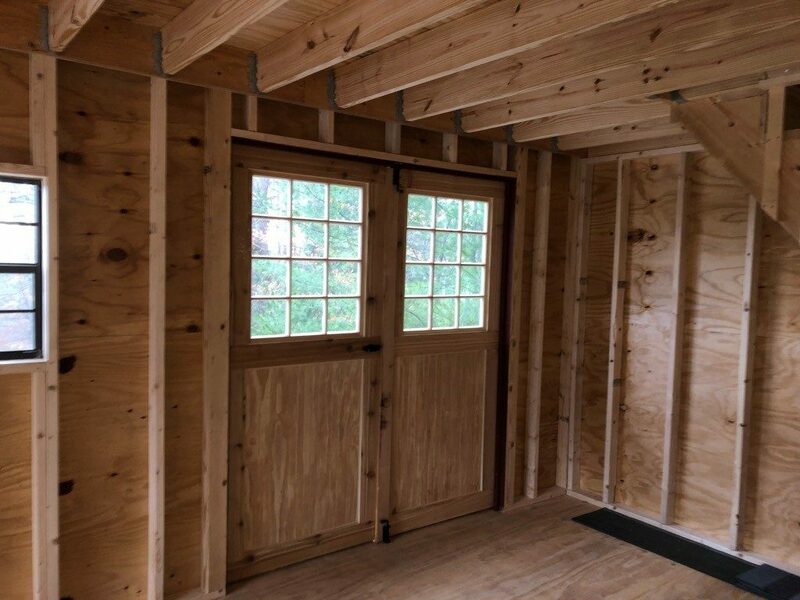 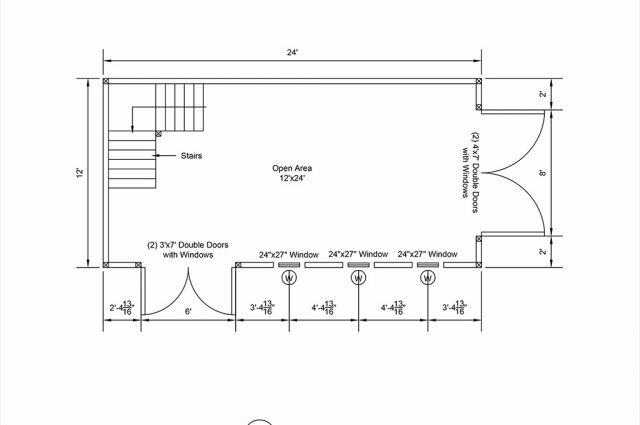 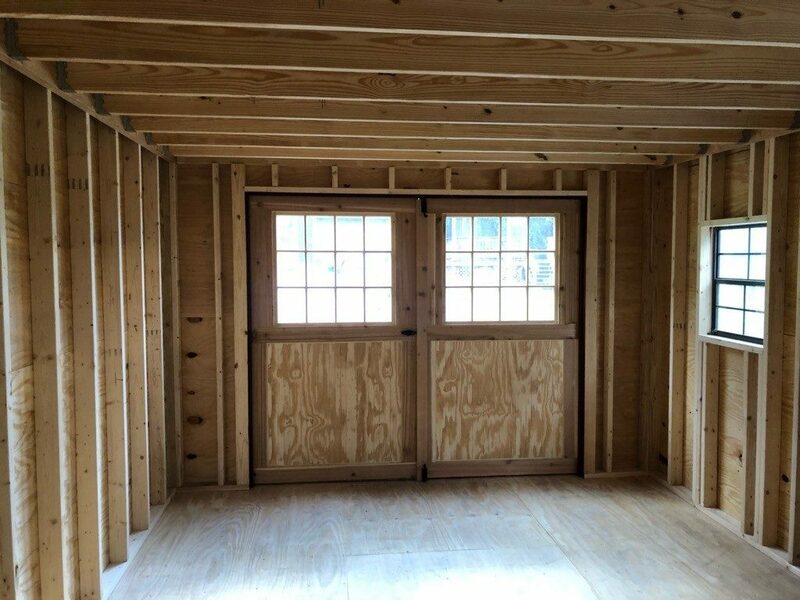 The 4’x7′ double doors with window and 3’x7′ double doors with window and loft door with transom window are manufactured by J&N Structures.